Home » Crown Estate devolution: an opportunity for the marine environment? Crown Estate devolution: an opportunity for the marine environment? The Scottish Crown Estate Bill has now been put before the Scottish Parliament, setting out final plans for the reform of the Crown Estate in Scotland. This bill will fully transfer responsibility for the management of the Crown Estate’s economic assets, and associated revenue, in Scotland, to Scottish Ministers. Management in Scotland will be coordinated by a new body called Crown Estate Scotland. Crucially, there will also be a provision established so that Scottish Ministers may transfer management of specific Scottish Crown Estate assets to a ‘transferee’ (colloquially a manager) which could include Crown Estate Scotland itself, a local council, another Scottish public authority or a community1 organisation. 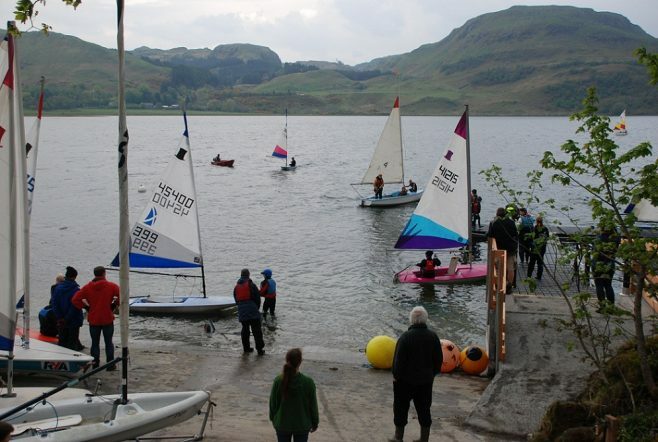 Eligible community bodies include Community Development Trusts, Scottish Charitable Incorporated Organisations (SCIO), Community Benefit Societies, Community Interest Companies (CIC). This will most likely be done on a case-by-case basis, rather than via a full transfer from Crown Estate Scotland to a local level. Since April 2017 there has already been an interim Crown Estate Scotland body in place and previous consultations have been undertaken on the plans for reform. The Scottish Government has recently opened a public call for evidence relating to the Scottish Crown Estate Bill however which will inform the detail of future initiatives, as well as rename Crown Estate Scotland (Interim Management) to Crown Estate Scotland. In addition to the call for evidence on the Bill from the Scottish government, the Crown Estate Scotland has also opened a consultation on the criteria for an upcoming Asset Management Pilot Scheme. The pilot scheme was announced during November 2017 and is expected to open in summer 2018 – the feedback from the criteria consultation will inform the nature of the pilots when they open for organisations to apply to in the summer. The pilots will be focused on projects which aim to improve economic, social and/or environmental outcomes for local areas where there are Crown Estate Scotland assets to be managed. The pilot scheme will provide the opportunity for specific community bodies to demonstrate how they would choose to manage the assets within relevant rural, foreshore or seabed areas specifically for the above benefit(s). Specifically, intervention on local management can include the purpose of nature conservation. Therefore, whilst the principle and ambition of the Bill are already well articulated, there are currently opportunities to influence the detail and significance of its implementation. Here we examine some of the potential impact Crown Estate devolution – both to Crown Estate Scotland at a central level, and beyond to local institutions – might have on the future protection of Scotland’s marine environment, with a particular focus on the upcoming pilot scheme and the opportunity it presents to demonstrate environmental benefits of localized management. 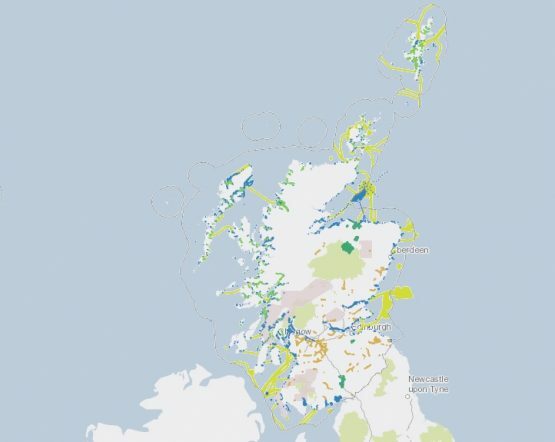 Crown Estate Scotland management covers a range of areas and assets in Scotland – including agricultural and forestry land, foreshore and territorial seabed, mussels, oysters and salmon fishing (view Crown Estate Scotland assets in their asset map). Crown Estate Scotland is a public corporation which manages the assets (currently on an interim basis until new legislation within the current Bill sets out permanent arrangements). It is led by a Board and managed by a team of staff who interact with relevant government departments and both national and local institutions, authorities and organisations – with the driving principle of selling, leasing and managing assets to make profits for the Scottish government. For example Crown Estate Scotland’s role in offshore renewable energy is that of landlord, catalyst and supportive partner. 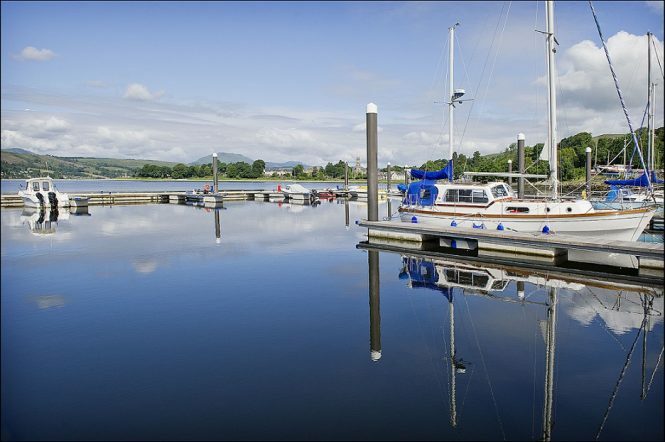 Marine Scotland as the regulator is responsible for environmental considerations, regulatory compliance and assessing consent applications. * There is a legal presumption that an area of seabed or foreshore is owned by the Crown, unless there is evidence that it has been acquired by someone else. Ownership of Scotland’s territorial seabed, which extends out to 12 nautical miles, is currently vested in the Crown, except for some small areas where the Crown has granted, or sold, ownership to a third party. Beyond 12 nautical miles, the seabed itself is technically ownerless but the Crown Estate has rights over certain commercial activity to the edge of the continental shelf and the 200 nautical mile limit (the exclusive economic zone) – this includes offshore renewable energy, marine mineral extraction and gas or carbon storage. The Crown Estate traditionally ran its operations on a purely commercial business model – maximising capital values and revenues. This commercially focused ‘modus operandi’ will still remain the driving force of the Crown Estate Scotland, in line with statutory duties, but recent reforms have opened the opportunity for decision making to better consider and reflect wider common good and public interest – which can include protecting the marine environment. The Scottish Crown Estate Bill will make provisions which will allow appropriate managers (including community organisations) to dispose and/or acquire assets on behalf of the Crown as if they were owners; to maintain the financial value of the assets; to maintain and enhance the wider socio-economic benefits of Scotland; and prepare management plans. Communities across Scotland are already taking leadership in both local development and marine protection (as evidenced by their active engagement in marine protected areas). 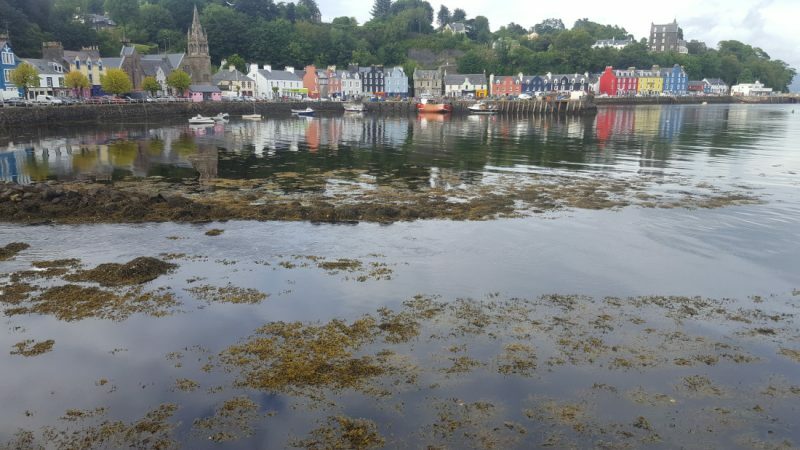 Communities across the coast are pioneering marine conservation initiatives, like the Community of Arran Seabed Trust (COAST) who achieved the designation of Scotland’s first ever No-Take Zone in Lamlash Bay in 2008 and the community in Fair Isle who pushed forward Scotland’s first ever Demonstration and Research Marine Protected Area in 2016. We also see community ownership in infrastructure projects which the Crown Estate has traditionally managed (like renewable energy, harbours and ports) and we have seen many communities choosing to take on property and asset management responsibilities, buying the land they live on and managing it through local community bodies – such as the case on the Isle of Eigg. We know therefore that it is fertile ground for community-led management in Scotland and that there is a good appetite for demonstrating leadership in community solutions to environmental management. The Crown Estate already sets out other forms of agreements for local management allowing organisations to manage certain areas, for example through ‘Local Management Agreements’. There are a number of Local Management Agreements in place for socio-economic projects; you can view them within this map. More recently, Local Management Agreements were also opened up to allow community groups to opt for initiatives designed specifically for nature conservation benefits. However to date no community group has put forward a Local Management Agreement for the option of nature conservation. These Local Management Agreements will remain as an option for communities to use and are suitable for smaller-scaled community-focussed projects which may seek less direct responsibility over asset management. The potential impacts of Crown Estate Scotland’s future management mechanisms – both positive and negative – need to be considered within the wider context of ongoing discussions in Scotland about how communities actually gain an authentic and representative role in decision making, including around the scale at which “local democracy” is defined in Scotland – with particular debate around the relative size of our Local Councils. Any change in management creates the potential for weaker, as well as stronger, management – depending on the organisations with greatest influence under any new management regime. At present, it is likely that local authorities may initially be the most likely candidates to request to be a transferee/ manager, perhaps along with marina authorities like harbours and trust ports (who have taken up the opportunity within Local Management Agreements in the past). With the potential of Local Councils taking on further management responsibilities the risk of conflicts of interest could emerge – for example where the Local Councils planning responsibilities under the Town and Country Planning (Marine Fish Farming) (Scotland) Order 2007 (which makes the planning consenting process for aquaculture sites the responsibility of Local Councils) would sit alongside their new Crown Estate Scotland management. This would mean a Local Council would be both the aquaculture licensor and the leasor of the seabed and in this scenario adequate safeguards would need to be put in place. 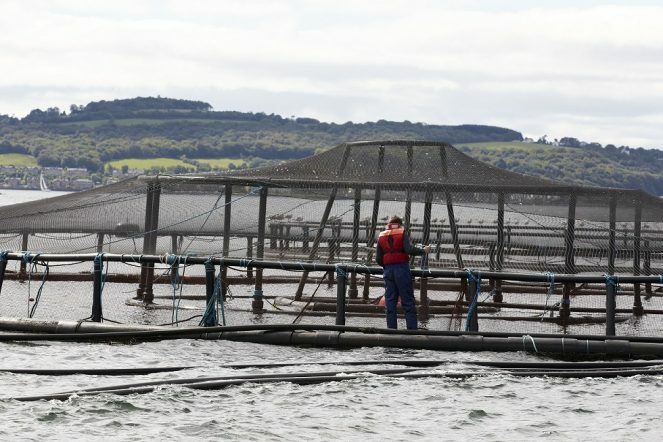 This discussion is particularly pertinent at the moment, given growing concerns about the aquaculture consenting process in Scotland and the governmental inquiry which is currently underway into the state of salmon industry in Scotland, and its associated fish health and environmental challenges. Any case-by-case transfers of powers to local bodies which are granted will therefore also need to be in line with legislation like the National Marine Plan, the Land Use Strategy and the Scottish Biodiversity Strategy. With a maximum period to grant a lease also being set at up to 150 years, there could be potential concern over the length of tenure and the impact of activity being granted – assurances on the length of tenure being relative to the activity being proposed, in particular respect to its environmental impact over time, ought to therefore be put in place, if this is not already the case. The Crown Estate Bill sits within a framework of many new laws which enable communities to increase their rights to both own and manage property and to have more weight in local planning and decision-making – you can read our briefings on Community Empowerment (Scotland) Act 2015 and the Islands (Scotland) Bill for more background on these. It is worth noting, for example, that the Crown Estate Scotland is not listed as a body under which you can make a Participation Request to under the Community Empowerment Act, in contrast to Local Councils and authorities such as Scottish Environmental Protection Agency (SEPA) and Scottish Natural Heritage (SNH). Setting the current opportunities and risks at play from Crown Estate Scotland reform within the wider community empowerment agenda could help with deciding upon the most appropriate kinds of interventions for communities to lead on and support, as related to environmental management. You can read Fauna & Flora International’s main views on the Crown Estate Bill which may help with any consultation responses you/your community group are submitting to the call for evidence, open until March 23rd. More pertinently, if you are a community interested in taking forward a project to explore environmental value then consider responding to the current pilot scheme consultation which is open until April 16th, so that you can help to influence the overall direction of the scheme. In several months there will then be an opportunity to apply to be one of the geographical pilots taken forward. We will post notice of this into www.communitiesforseas.scot as soon as a date is announced and will share further perspectives on the pilot scheme consultation questions in due course. 1The Crown Estate Scotland Bill defines community as meaning a community organisation and it defines community organisation as ”a body corporate (other than a Scottish public authority) which (i) relates to a community, and (ii) has a written constitution”. There are also provisions including that the body must have no fewer than 20 members; that the majority of the members of the body is to consist of members of that community; that the members of the body who consist of members of that community have control of the body; that membership of the body is open to any member of that community and that there exists in holding a statement of the body’s aims and purposes, including the promotion of a benefit for that community.